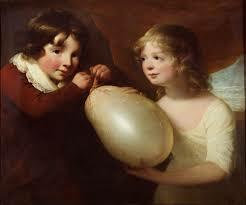 Balloons tend to be a big part of our North American celebrations, particularly if the celebration involves children. Bright and colourful, they make wonderful party decorations and are fun to play with and to sculpt animals with. But did you ever wonder where balloons came from? There seems to be some mention of dried animal bladders being filled with air and used as a toy for children in ancient times. 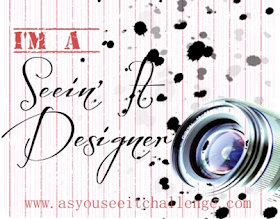 All together now, can we just say,"Ewww!"? 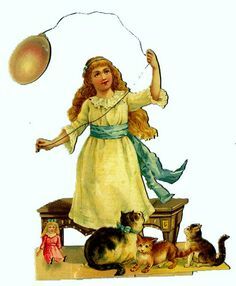 The modern rubber balloon is credited to Michael Faraday, a scientist who used them to experiment with different gases in around 1824. 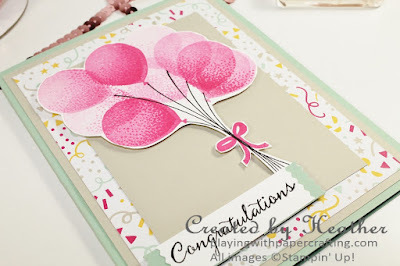 You can get the whole scoop on balloons by clicking here. 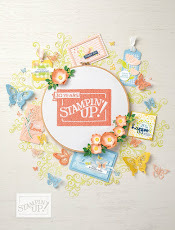 the 2016 Stampin' Up! 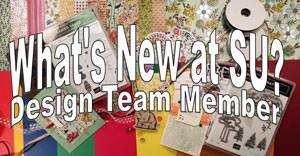 Occasions Catalogue goes online tomorrow morning, January 5th!! 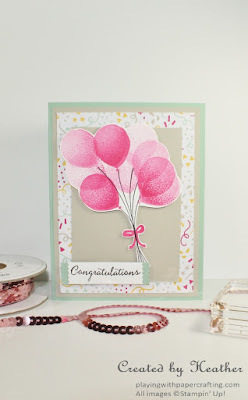 The balloons were stamped with the smaller balloon image using Melon Mambo ink. I stamped a couple of the balloons fully inked and then stamped a couple more without reinking to get that transparent look. 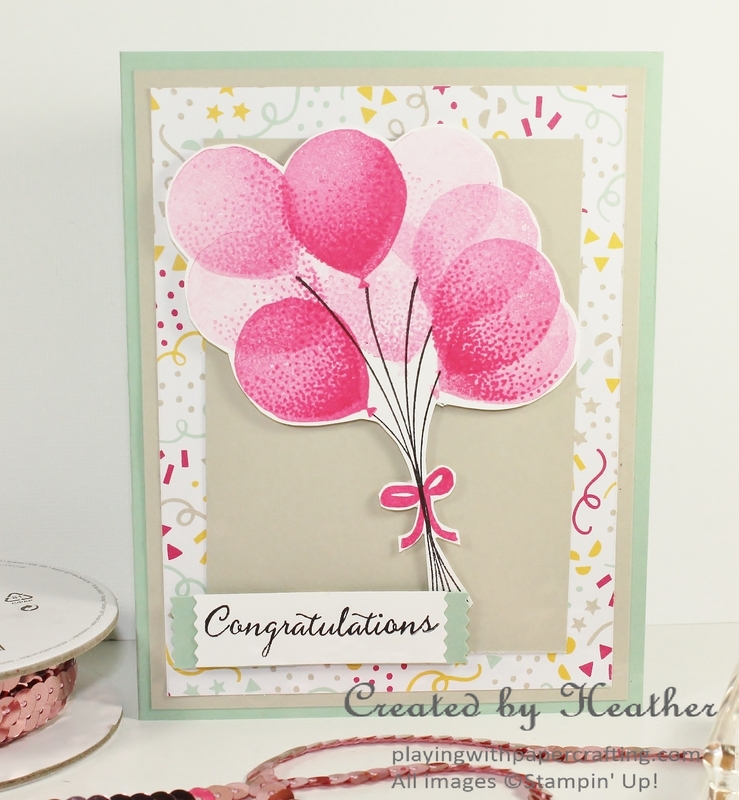 The shading is another coordinating stamp and I just love the dimension it gives the balloons. Make sure you use a Stampin' Pierce mat when you are using photopolymer stamps, so you get even coverage of the ink on the paper. Also, Melon Mambo is a very saturated colour and be really careful to clean off the edges of your clear block and fingers before you stamp, and don't ask me why I know this!! Just know there is a reason why all the balloons are fussy cut! I stamped the balloon strings first to help me locate the balloons, and that little bow also comes with the set although, in retrospect, I think I would fussy cut it and glue on the front of the strings. 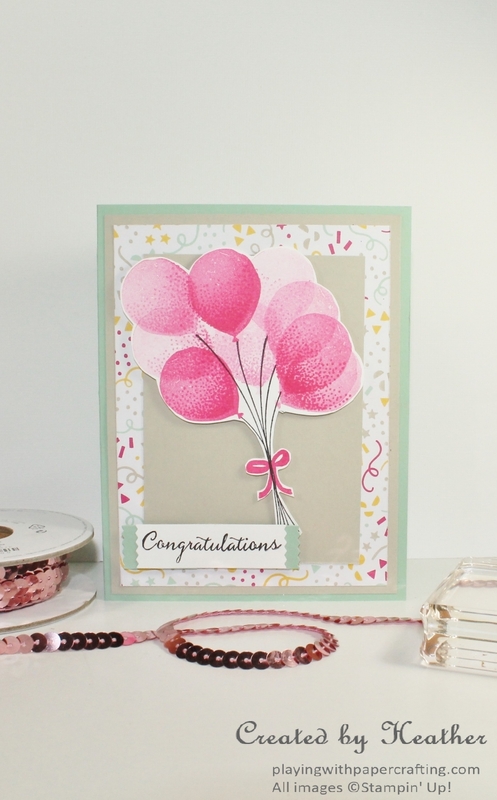 There is a coordinating punch called the Balloon Bouquet Punch* with which you can punch out separately stamped balloons and mount them on the card, but I wanted to have that overlapping transparent look that I so admired from the sneak peeks. 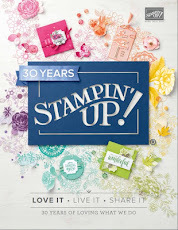 It is bundled with the stamp set at a savings of 15%. 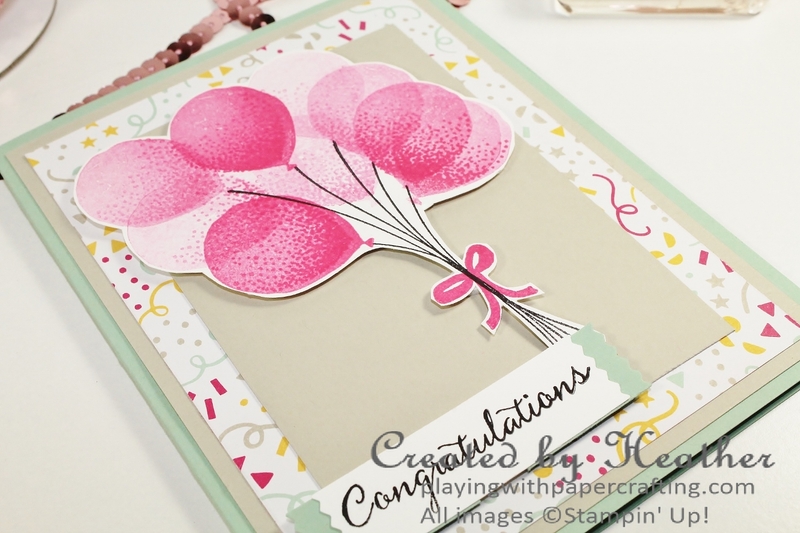 The background Designer Series Paper is from the It's My Party Designer Series Paper Stack*, which is the first paper stack I can remember that is 12" x 12", (except for the Colour Families DSP Stacks).